Popular Science Blog - NY Times on the Search for the God Particle, or "Physicists Have Blogs Too"
Just finished a great article from today's New York Times science section on the race to find evidence of the Higgs Boson, or "God particle" as it is often called. PPX players will want to take note—it's mandatory reading if you're following our BOSON proposition (check it out here for the current market price) which seeks to predict who will win the race to find the elusive particle. In (incredibly) simplified terms, some physicists believe the Higgs boson is the key to understanding several mysteries of the universe's formation that current theoretical models have failed to define—namely, the origin of matter. 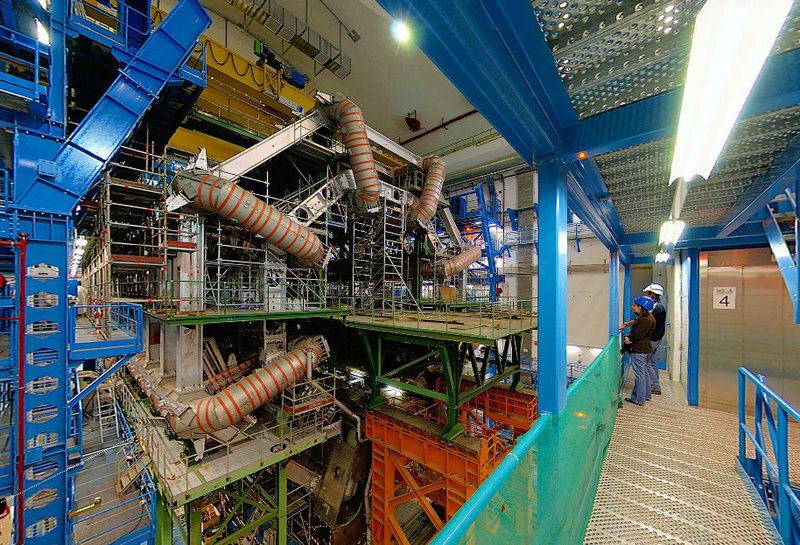 Heavy stuff, for sure, requiring some equally heavy machinery to study—the likes of which can only be found at the world's top physics labs such as Fermilab in Illinois and CERN's Large Hadron Collider, a powerful particle accelerator currently under construction at CERN's laboratory facilities near Geneva, Switzerland (check out more amazing VR photos like the one at the top of this post). 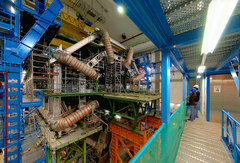 NYTimes: "At Fermilab, the Race Is on For the God Particle"
God particle? Such a name could be more ironic. Some think that that it refers to finding the existence of God. Others think the term means that the particle in question is a supersymmetric ruling paricle over others. What if this quest is aptly named because it may lead to all of us facing God sonner than later? The new book and Dominium (ISBN 9780980096323) would indicate the irony of the last case. Hey Muther Fuckers, hows it going? and I have written an article about it expressing my views about God. Any body who is interested can contact me at joshijk2003@gmail.com. I would be happy to share my views with him/her.